What Happens When You Take Time Off From Running? MY COMMENT: According to Pfitzinger, "most elements of your fitness go down at about the same rate at which they go up." My theory, based on personal experience, is that after 3 or so days off, you need 3 days of training for every additional day you miss before regaining your original level of fitness. In other words, miss 10 days and you'll be back to normal in about 3 weeks. A Long Lost Training Partner is Found! I recently reconnected with Sean Dunlap, an old training partner from my days in Okinawa. In those days, Sean was an enlisted airman with a beautiful running style and decent speed that made me jealous. Looks like nowadays he has changed gears by moving up to some very serious long stuff. Not only is Sean a good runner, as you'll see by reading incleanair he is also a very talented, entertaining writer. MY COMMENT: Clearly ibuprofen intake prior to and during marathons and ultras poses some serious health risks and no benefit in terms of reducing inflammation or pain (this study looked at Western States 100 competitors). 3. Do not combine ibuprofen with alcohol. 4. Do not take in combination with other medicines, supplements, or herbal products without first consulting with your physician or pharmacist. Entertaining 1980s interview with Olympic gold medal winner Frank Shorter as biomechanics expert Gideon Ariel analyzes Frank's running form. I like the point he made about the disadvantage of excessive head movement. Frank also points out the knowledge gap that existed in those days between research and runners. This is a nice exercise routine for runners by Jay Johnson. The focus is on improving general core strength in addition to hip range of motion, something that could benefit all runners, especially those who are over 40. Running Times: Part 1 from CoachJayJohnson on Vimeo. Great analysis of Geb's world record attempt at The Science of Sport. 15:57 for the last 5K (his 5K splits between 25K and 35K were 4:35 each!) 2:06:08 was the winning time. Ryan Hall leads the workout- 10 x 800 meters with 60 seconds recovery- at 7,700' elevation! Forgetting the corny warm-up drills, this is a workout that I've been doing the last several years and consider an essential component of marathon training- right up there with long runs. Watch a video of Ryan's workout on flotrack. By the way, what is Josh Cox training for next anyway? Another guy that seldom races. Check out the top 25 high school cross country runners in the US- according to www.dyestat.com. Then get out and watch a meet! High school cross country, in most if not all areas of the country, could use all the support it can get. Dyestat is the place on the web to follow high school cross country, regionally and nationally. You'll be amazed at the level of young talent out there! When can you run with an injury? You can sum up the answer to that question with the following: Listen to your body! As I mentioned in the previous post, I developed some kind of hamstring strain on Tuesday. On Wednesday, I could tell there was no way that I could run, but the bike felt ok. Today, I went out for a very slow 50 minutes- and I mean not much faster than brisk walking. I can feel discomfort with every step, however it didn't feel any worse the longer I went and I wasn't favoring it or limping. Unless it feels worse tomorrow, I will try to extend the distance. One fact is clear: it will be several days before I think about pushing the pace or any kind of interval workout. I've always felt that complete rest until all symptoms or levels of discomfort are gone is not necessary, especially when soft tissue injury is involved. You do what you can, even it means walking, and then add cross training. Go for time and forget distance. The longer the better. When should you NOT run? Icing the area afterward is also a good idea. I've had tightness in my right hamstring for years. It's something that I just learned to live and run with. No pain, just tightness that on occasion feels tight enough that it throws off my bio mechanics on that side during hard running. Recently I decided to attempt some electrical stimulation, heat, and stretching to loosen it up. Last night I had to shut down just short of 2 miles during a 5K time trial due to hamstring pain. It is still bothering me today but I was able to get in a 90 minute bike. I don't think it's anything serious, but you never know. I probably overdid the stretching and have some micro tears in the muscle. I'll see how it feels tomorrow, but realistically I hope to be back running by Friday. The lesson? Don't do anything too extreme when it comes to stretching! Work into it gradually and don't force. 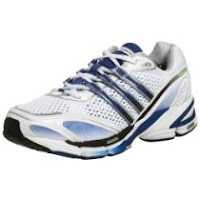 Today I decided it was time to order some new running shoes. 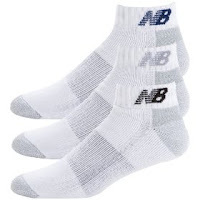 Sticking to my policy of not paying more than $50, I eventually ordered 2 pair from Amazon- one for racing and one for training. Monday Sept 14: easy 30 min jog followed by 8 x 75 meter strides. I've been making it a point to include these strides on a regular basis on easy days. I stop before stressing my anaerobic system- advice from Arthur Lydiard. Tomorrow is the weekly 5K time trial. I've been in the sport for a long time, and over the years have collected a substantial library of books about running and training. Recently, I took at look at one called 1975 Marathon Handbook, which believe it or not includes a U.S. list of all sub-3 hour marathoners in 1974. Training mileage over the previous 6-8 weeks sets the limit of how far one can hold a fast pace. That limit is about 3 times the daily average. After that point, the pace slows dramatically, and the runner may even have to stop. In other words, a runner that averages 9 miles a day for 6-8 weeks has a collapse point of 27 miles. 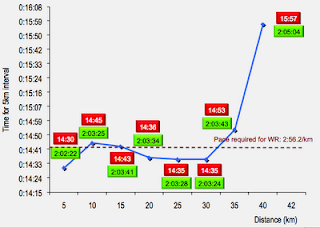 Further analysis showed that the average pace of Group One dropped 14% in the last 6 miles. Group Two slowed 22%, Group Three slowed 37%, and Group Four slowed down by 58% after the 20 mile mark. Here is another way to look at it- if you average 40-50 miles a week, your collapse point will occur between 18-20 miles. You'll finish, but you are also likely to experience a significant slowdown the last 6 miles. Clearly talent, pace, the number and length of long runs, environmental conditions, the course, and other factors play a role, but I wouldn't be surprised if this 70s Collapse Point Theory still applies to most marathon finishers today. Sat Sept 13: Went for an easy run and discovered my legs were totally wiped out from yesterday's intervals. Barely made it 25 minutes. Went for an hour on the bike instead and felt wonderful! Sun Sept 14: 12 miles in 90 minutes on pavement. Another long run off the trails. I plan to increase this gradually. If You Think You Need Electrolytes- READ THIS! 1.Sweating causes some sodium loss, but because the sodium content of sweat is so low relative to body fluids, your sodium concentration will rise. And it is the concentration that is important, since this controls fluid shifts in the body. It is NOT possible, even for a "salty sweater" like Randy in these scenarios, to LOSE sodium through sweat. Last year I posted a youtube clip of a good exercise to increase hamstring eccentric strength. I found another great clip using the Bosu Ball that takes this exerise one step further-using those hamstrings to bring yourself back up to the starting position- this woman (Ooos- second look and it appears to be a guy!) makes it look so easy! I'd be doing this but just haven't figured out a way to anchor my feet. Today I did something I haven't done in months- a 10 miler on the roads! Nearly the entire summer, other than a handful of interval workouts, I have done every single run on trails. There is a huge difference- on the roads I probably average a min per mile faster at a similar heart rate. This will take some time to get used to- ideally you should mix up your workouts so you get some of both. I also noticed today that my bum hamstring (I've had a right hamstring issue for years) was extremely tight today- I assume this is due to yesterday's bike ride. Looking for a good post run snack? Researchers say a bowl of whole grain cereal and milk recharged muscles just as good as sports drinks, calling it a better option for amateur athletes than pricey drinks, but here’s the catch. MY COMMENT: Makes sense to me. Protein and carbs in approximately a 1:4 ratio. Keep your immune system strong by getting plenty of sleep, eat healthy (think vegetables, fruit, whole grains, and lean protein), limit alcohol and caffeine, and take a potent antioxidant supplement. Make sure you allow adequate recovery following a particularly hard or long workout. Not real pleased with the way I ran tonight but not surprised. I have to work so hard these days to run sub 6 minute miles- my splits were 6:05, 6:00, 6:04 finishing in 18:48. I'll try to get back under 6 in the next couple of weeks- I think 800 meter 2 or 3 interval sessions will do it. This was a good race for me- as I recall there were some hills on this course. Shawn Flanagan (2nd) was WI State University conference champ in the 6 mile run in 1975 & 1977 (I won in 1976) running 29:58 by himself in 1975. I never beat him in college. What should you do for recovery between hard workouts and races? The science behind routine easy days is sketchy, so here are my thoughts based on personal experience. NO ACTIVITY: Complete rest is a good idea following something as strenuous as a marathon, or even a half if you have severe leg soreness. I usually wait up to 5-6 days before resuming normal activity, although there is nothing wrong with some easy cycling or swimming. EASY 30 MIN: Pretty standard the day following up a hard workout or the day prior to a race. If it's pre-race, throw in 4-6 race pace strides after you finish. EASY 60 MIN: Depends on your level of fitness, but some runners can use a longer easy day and still perform a hard interval or tempo session the following day. It's trial and error on what you can get away with. I would not use this before a race, however. EASY 10 MIN/ 1 x 800 meter hard / EASY 10 min: I've used this prior to my last few marathons. Here is why. 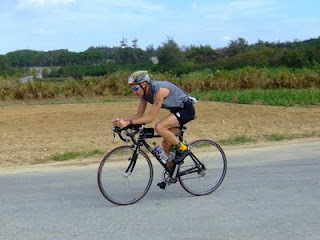 CROSS TRAIN: I would bike or swim the day before or following long run workouts, but not before races. You could do some higher intensity work such as hills or a spin class or just go easy. EASY 10 MIN/ 3-5 MIN RACE PACE / EASY 10 MIN: I have no reason to believe this works other than giving you peace of mind and a final reminder what race pace feels like. 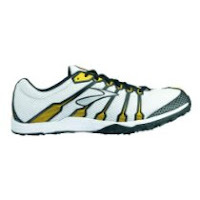 The shorter your race, the faster your pace on this for a shorter distance. I did 2 hours of easy running on the trails, only the last 30 minute loop wasn't so easy. This the day following a hard 4 x 800s workout so I've gone from one extreme to the other. The Long Green Line Movie Trailer from legendsoflala on Vimeo. 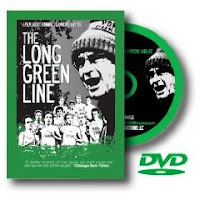 Order your copy of The Long Green Line here today! York High School has won 24 state cross county titles under legendary coach Joe Newton. -Joe Newton (dyestat.com) The Dyestat interview is A MUST READ FOR HIGH SCHOOL COACHES AND ATHLETES! It's been too long since my last real interval session (2 weeks) so I knew going in I would be a little flat today. I took extra rest (3 full minutes) and was pretty wiped out after just 4. Looking forward to a long run tomorrow. Run Less Run Faster- With PowerCranks!!! Go here for another video PowerCranks. Not cheap (they cost as much or more than a good spin bike), but PowerCranks look interesting. In the meantime, I guess one legged pedaling drills would be closest to the real thing. Imagine 2 Americans dipping under 13 minutes in the span a week? Other Americans who ran well in Brussels include Anna Willard who won the 800 meters in 1:59.14 and Daniel Huling who turned in a huge PR in the 3000 steeple to take 4th in 8:14. Full results. Nice Website for Masters Runners- Get Ranked! I found this website (Younger Legs for Older Runners) that allows you to input your best times at various distances and get ranked by age! You'll also find that it automatically calculates your age graded score. Interesting that I put in 2 races- the Napa Valley Marathon and 12K Rhody Run. My age graded score on each was 83%.